Well it's been two months since I ran the Thankful13 half marathon, so I figured now was as good of a time as any to write down some thoughts on the race before I forget every single detail. This race meant a lot to me. Even though I ran two half marathons the weeks leading up to this race, this one was by far my major "goal race" that I was shooting for. 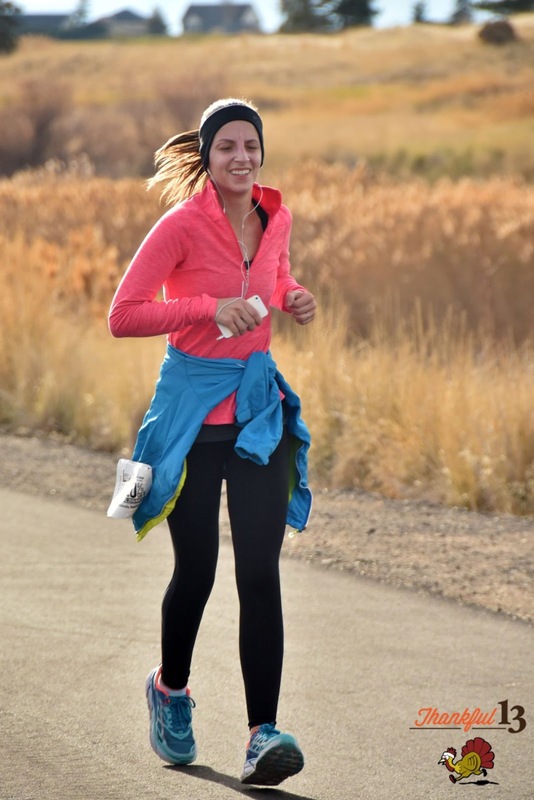 I had a bunch of friends who weren't necessarily runners complete some half marathons around Utah this fall, and honestly, after seeing them do their races, I was jealous. I figured if they were running, why not me? 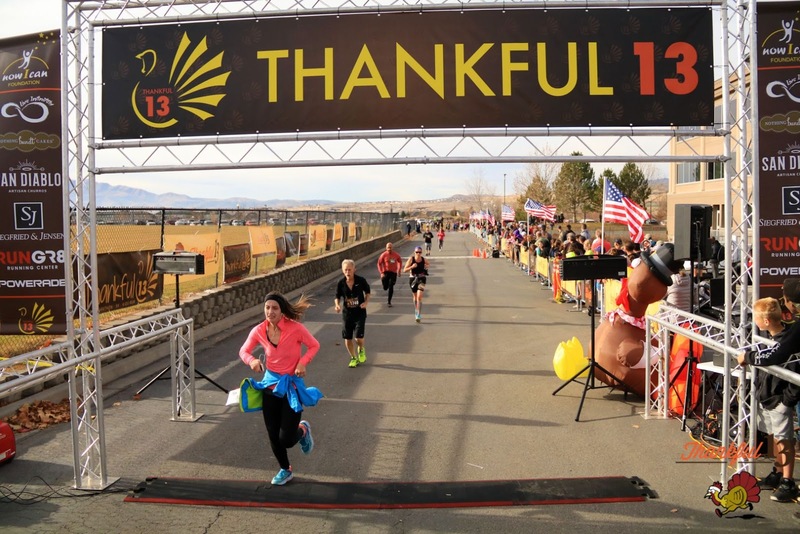 I always loved the idea of running races on Thanksgiving. I grew up in Upstate New York running several Turkey Trots in high school, and I always enjoyed the experience, so I figured a Thanksgiving race is what I would shoot for (it was the third week of October at the time of my planning). 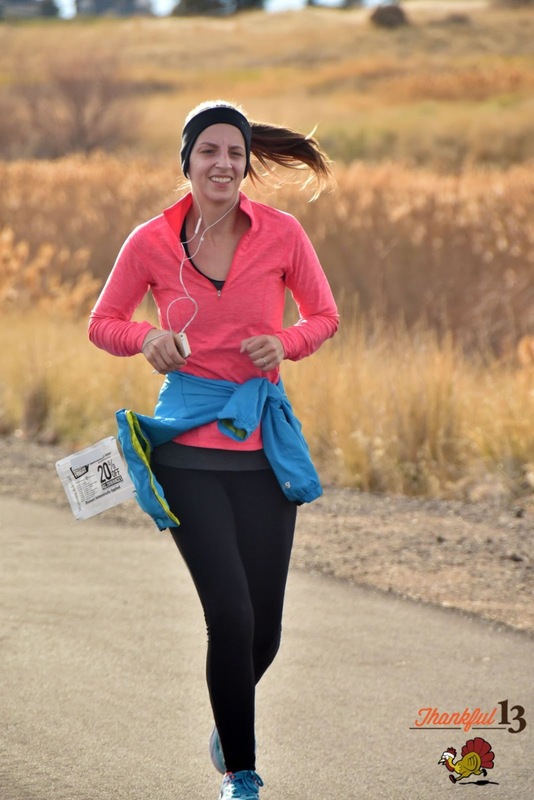 So one fateful October Sunday I hopped onto my computer, paid the registration fee, found a 5 week training program, and just went to town running. 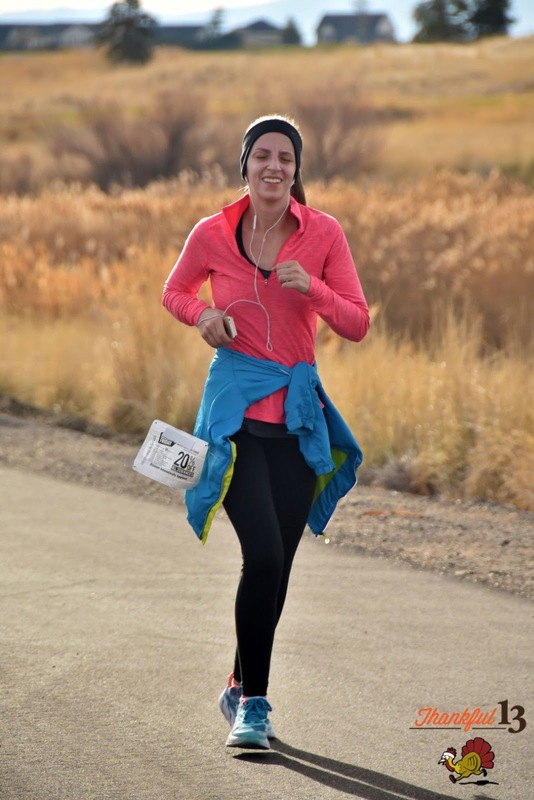 As you guys know, I got a free entry into the Howlween Half in Saltair after my first week of training, and did the race on a whim and got a 20 minute half marathon PR. A few weeks later, I ran another $10 half marathon, and got another 10 minute PR. I wasn't anticipating another PR at the Thankful13 because there were more hills than the last two races, but I was hoping to stick around my newest PR of 2:09:57. The drama from this race started the night before. I was looking through my race email to plan when I should get there in the morning and saw that there was no "race day registration", meaning I wouldn't be able to pick up my bib and everything to run the race the day of, and by the time I read the email, the race expo that was happening that day was already over, and I was basically out of luck. I posted on some Facebook groups, sent a few emails and Facebook messages to random strangers, and was finally contacted around 11:30pm to find out I could pick up my bib the next morning and run the race. So I hopped into bed, and got a few hours of sleep before waking up at 5am to get ready for the race. I forced myself to eat a granola bar and some juice on the drive down, but really wasn't all that hungry. After I'd gotten my bib and swag bag, warmed up, and used the bathroom, I was starving. I headed over to the food tables and all they had out were bananas. I really don't like bananas at all, but needed something. I tried eating one, gagged on the texture, and threw up into a garbage can 10 seconds later. A stranger came up to me after and offered me a random dinner roll they had, and I scarfed down the entire thing while walking over to the starting line. I'm convinced it was actually a roll sent from heaven. Once the race started I tried my best to keep up with the 2:10 pacers, but with the amount of hills, and having just barfed a banana, I let them get ahead, and just kept hoping I'd come in around that time anyways. The course was pretty difficult, but I was shocked at the amount of people that it seemed like I was passing the entire time. Usually when I run races I don't feel like I'm actually racing, but this time it really did. I would pass a small group, stay on my own for a bit, catch another group, and then just keep going and going. I felt strong for most of the race, but had moments, like usual, where I shed a few tears. I saw some kids watching the race from their house and all of a sudden, I really missed my kids, which resulted in me literally sobbing for about three minutes while still running the race. It was so embarrassing. At the end of the race, after I climbed the last big hill, I knew the finish line was only a mile away, and really worked hard to give it my all. I was literally sprinting and gasping for breath the entire way to the finish. At the last stretch, I saw three more people and pushed even harder to make sure I passed them, and once I did, I was across the line in 2:10:45, just a minute longer than my PR race a week before. It was such a great race, and I know I'll be back next year to do it again. There is nothing better than knowing you gave a race everything you had, and that's exactly what I did here.